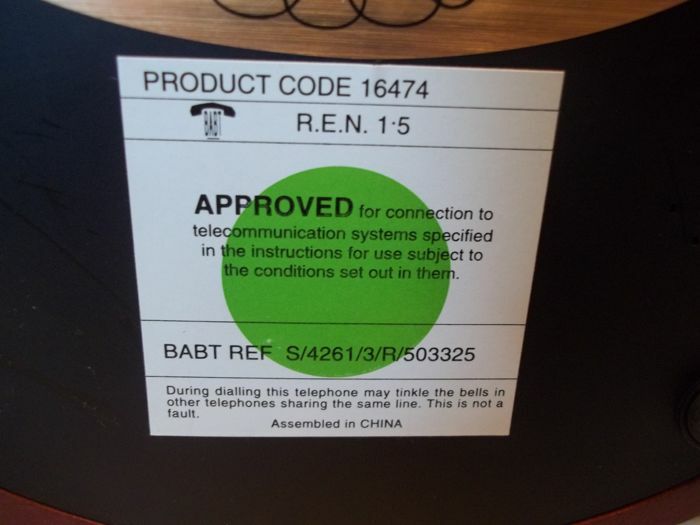 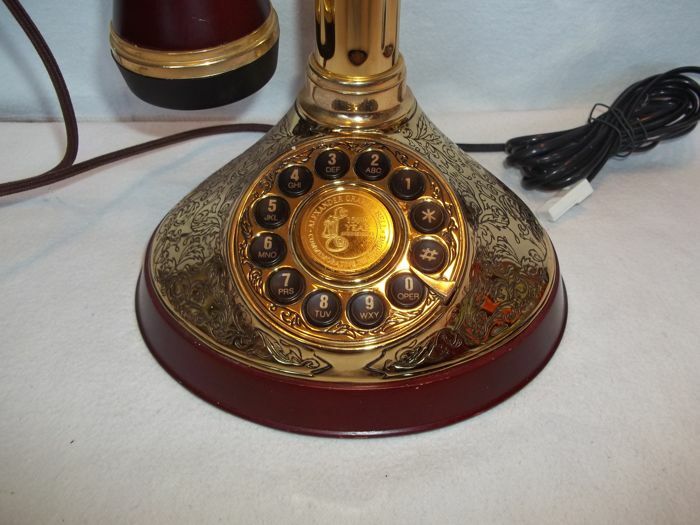 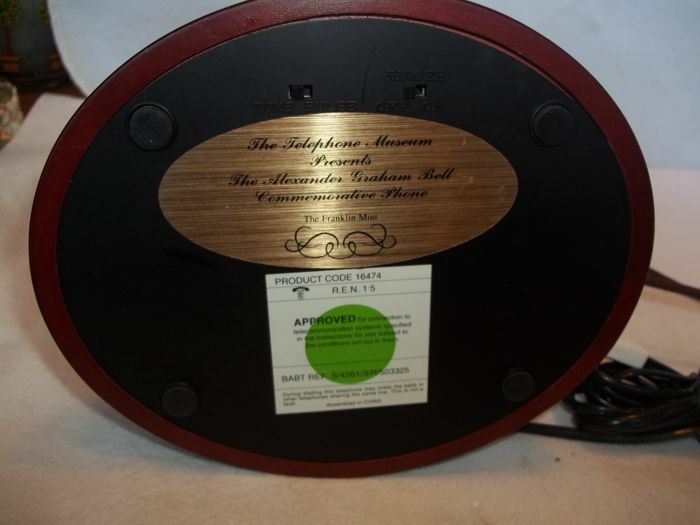 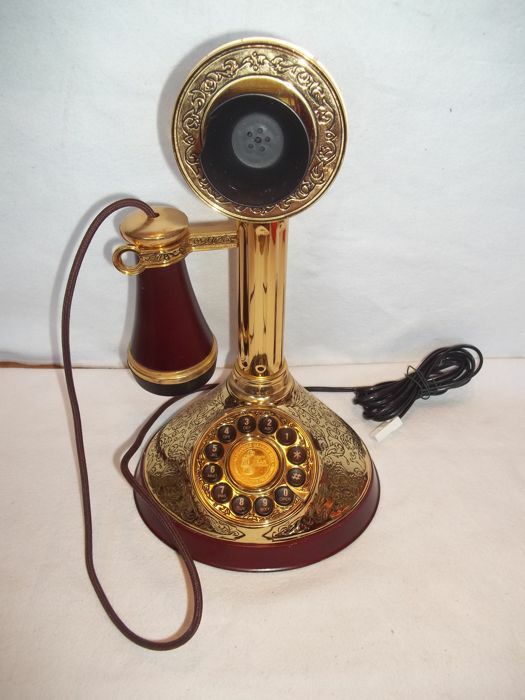 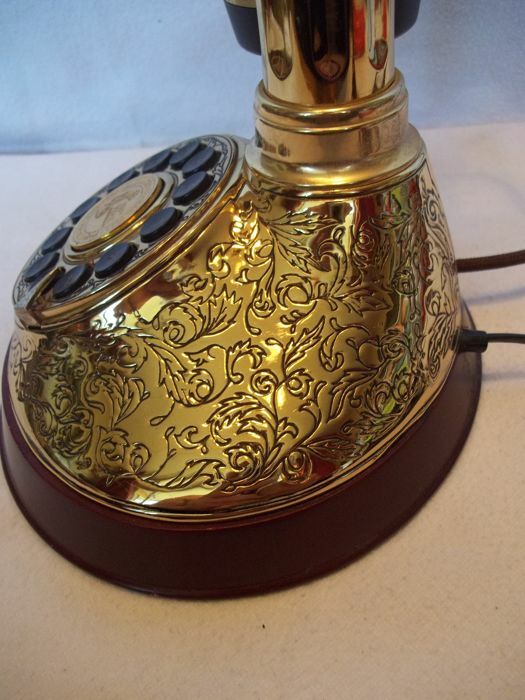 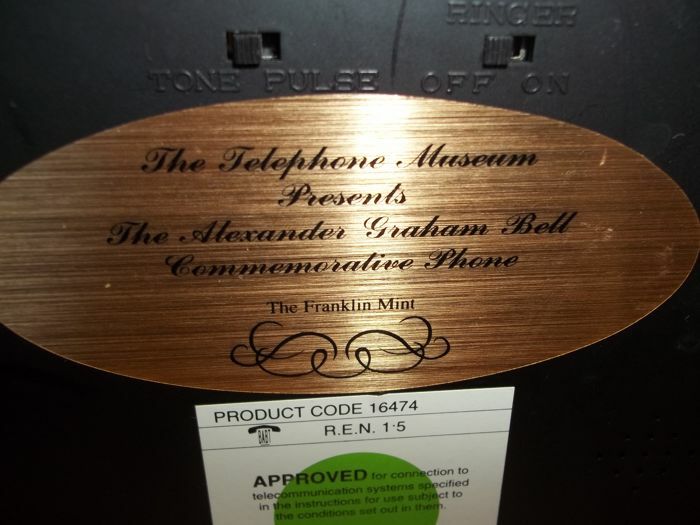 Alexander Graham Bell Commemorative Telephone , 150th year Anniversary. 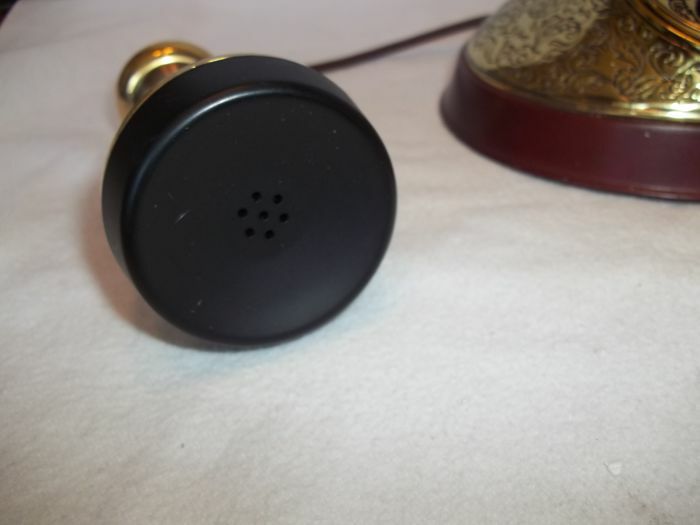 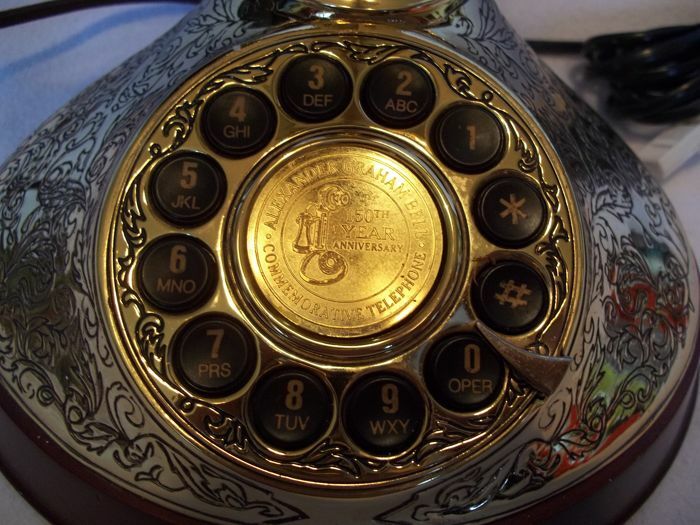 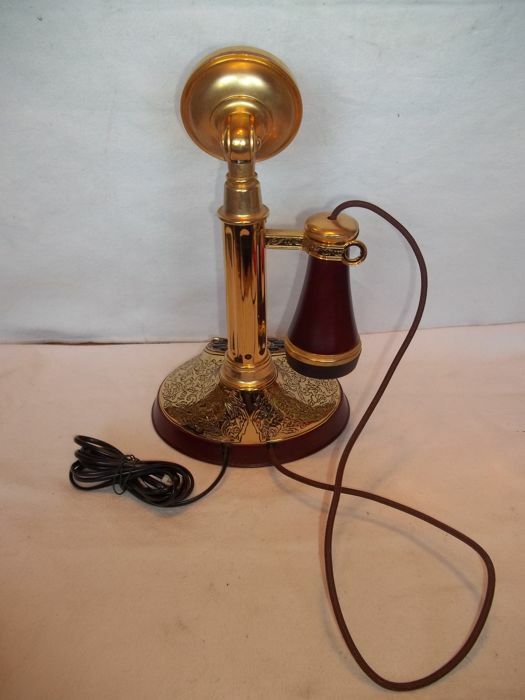 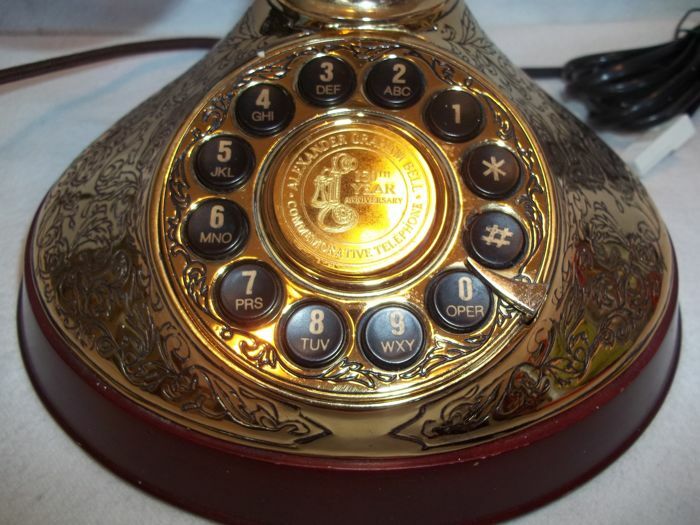 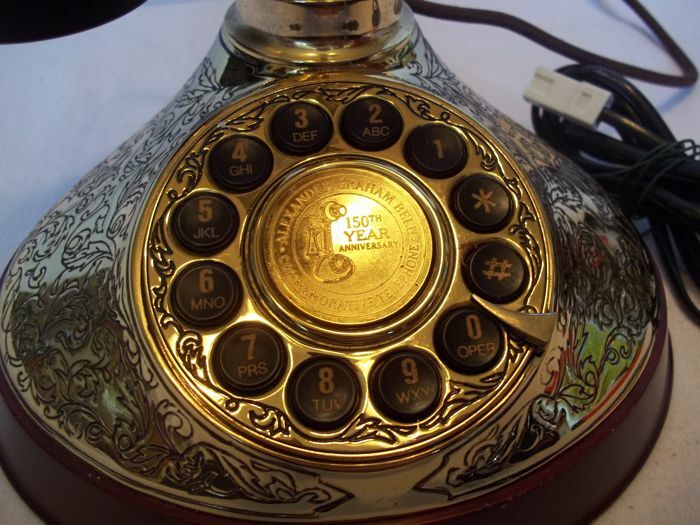 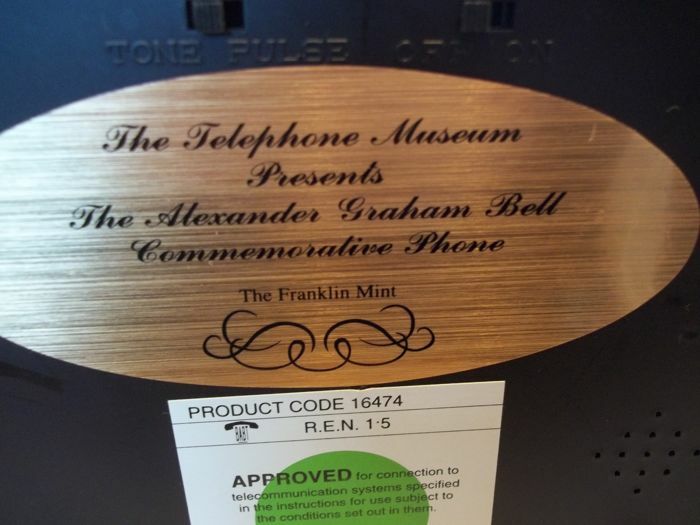 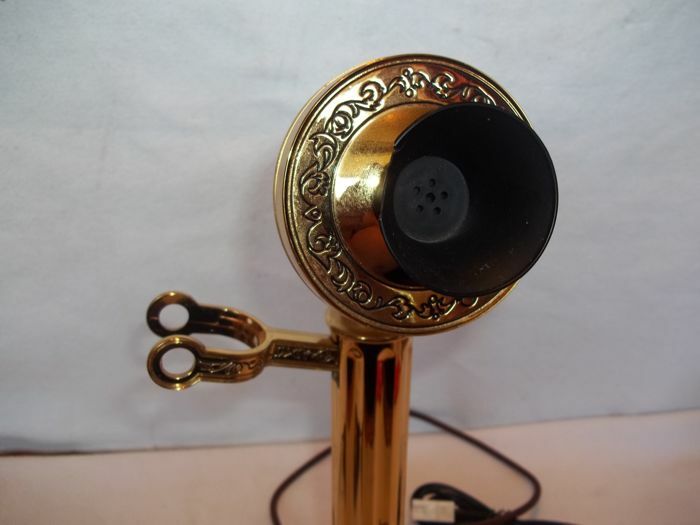 A beautiful collector's item of Franklin Mint, the phone once designed by Alexander Bell is reproduced by Franklin mint. 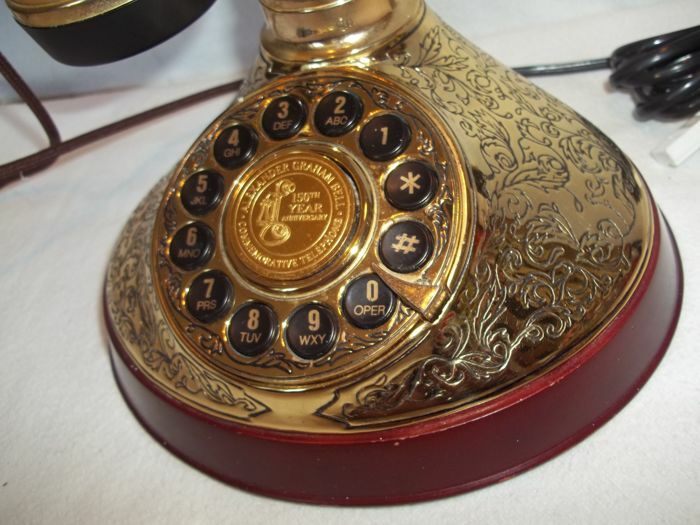 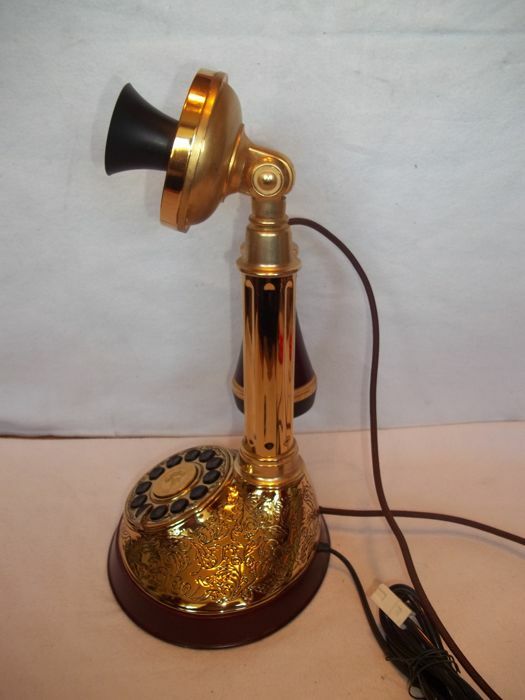 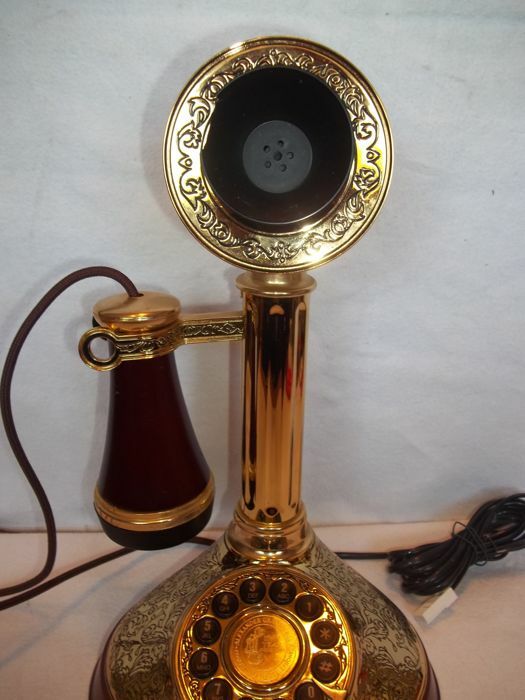 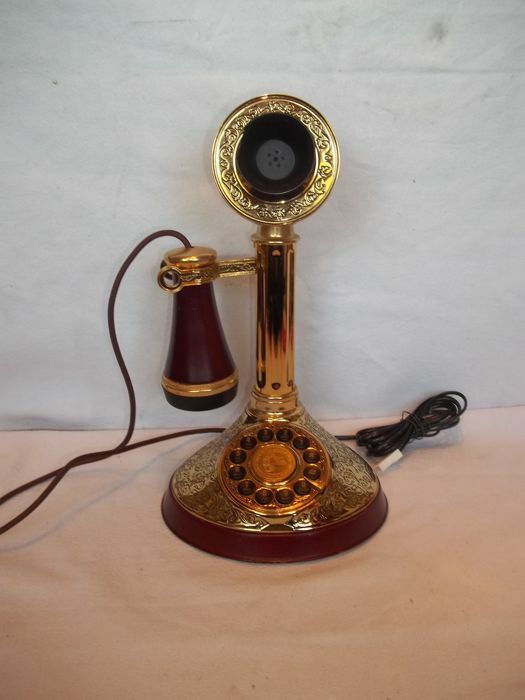 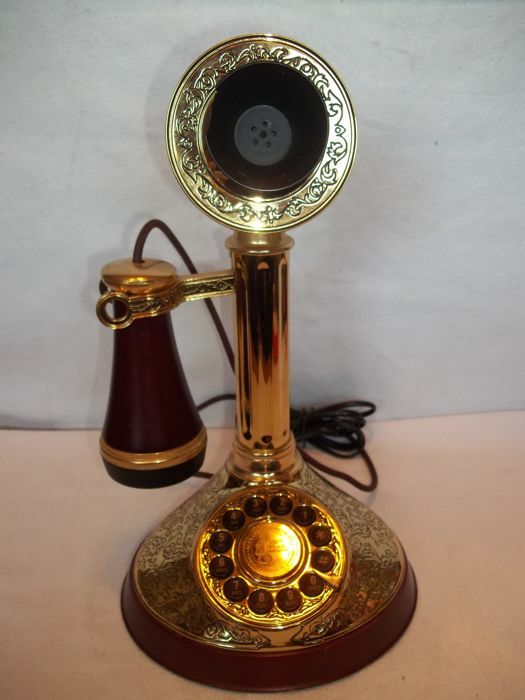 It's a gilded model made in order of the 150th anniversary of the phone. 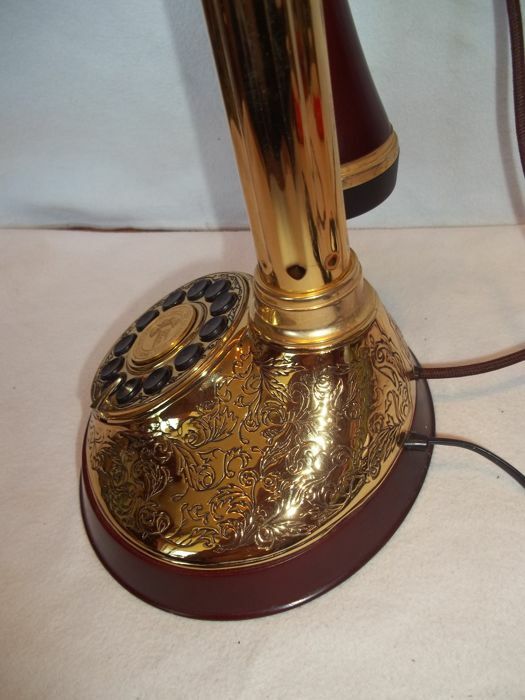 It's a beautiful design and a gorgeous decorative object. 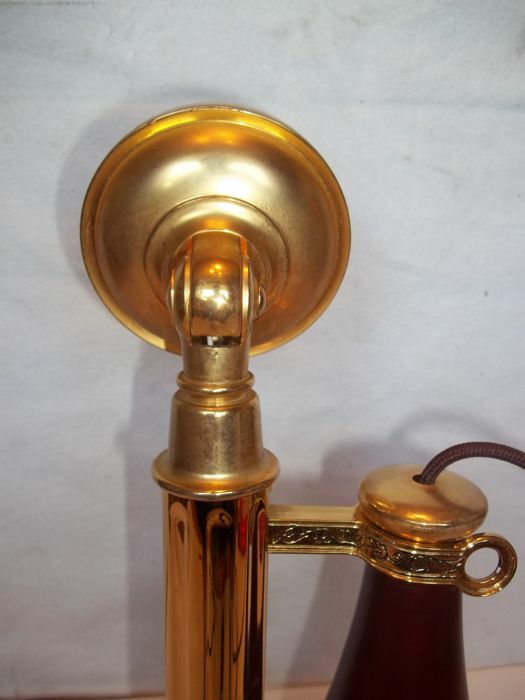 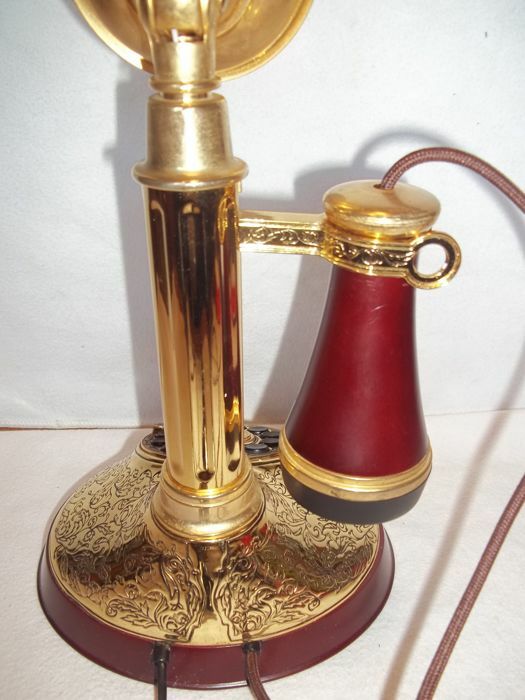 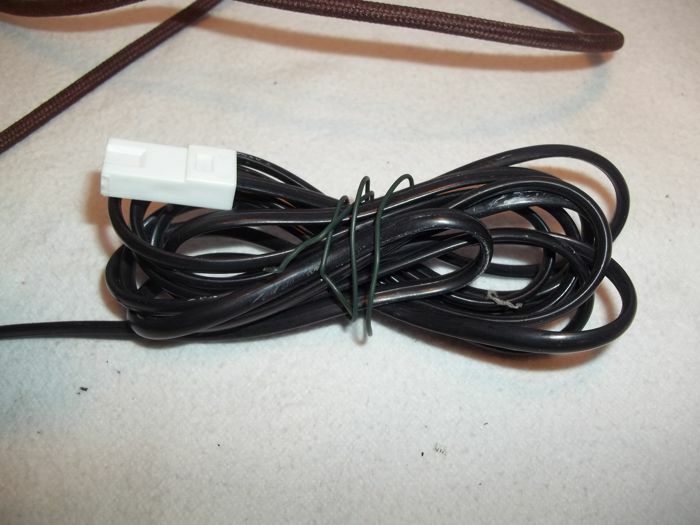 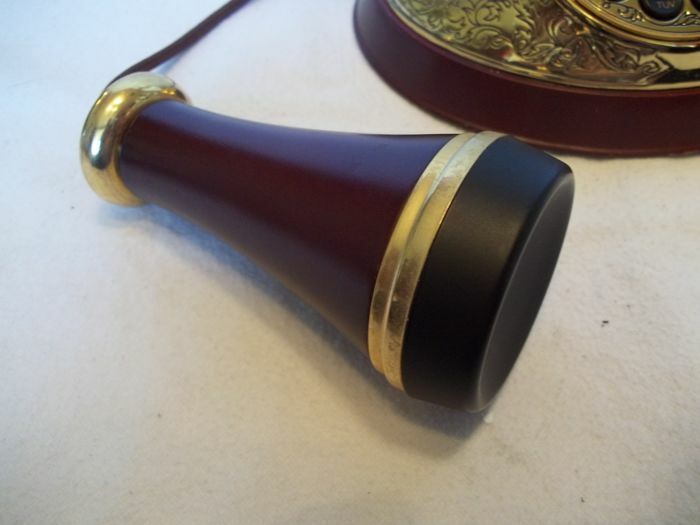 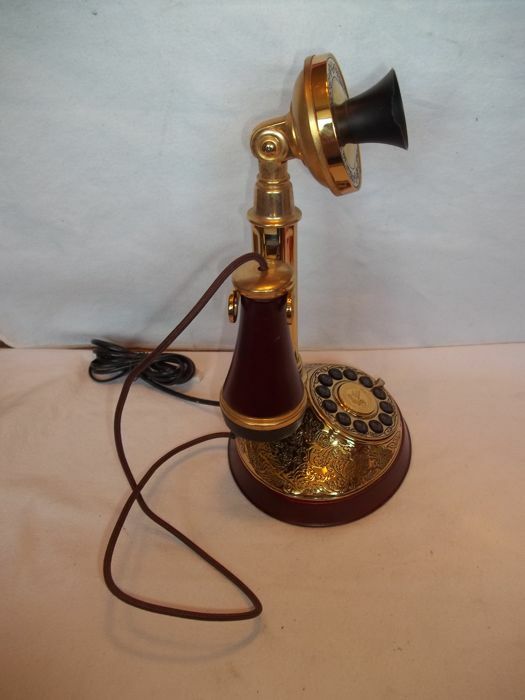 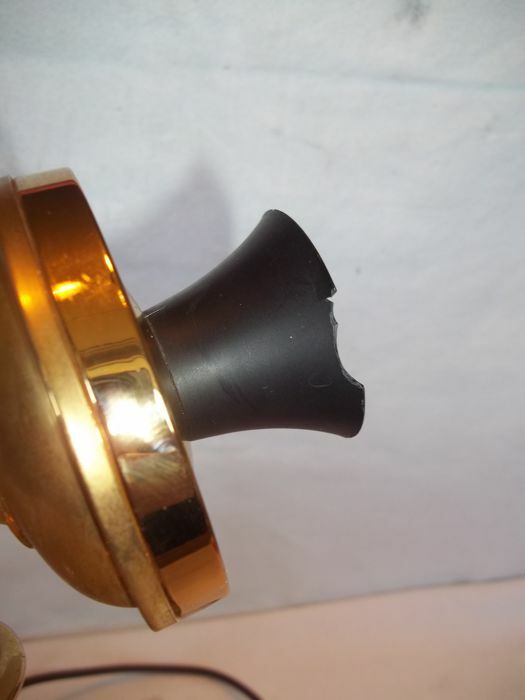 Very good condition and in good working condition, only a small chip on the speaking horn (see the pictures).